A Fresh Take on Tessellated! 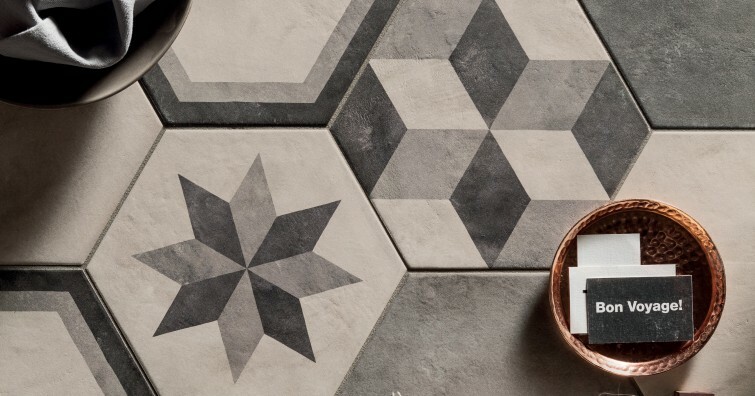 Thinking of tiling a tessellated look for your verandah, foyer, laundry or bathroom? Are you not completely loving the traditional colour schemes, but don’t want to stray too far from your home’s federation style? We may just have the product for you. This range is a full bodied vitrified that never requires sealing or any maintenance. Fresh off the boat from Italy, come into our store today to view the full range and find the right fit for you! Gone are the days when tiles were made available with a matching step tread, bullnose, pool coper or skirting. This is where the Tile Living® range of custom nosing and treads comes to the rescue! The majority of our products can be customised for a completed look for your pool surrounds, indoor and outdoor stairs, edging and skirtings. With a range of profiles to choose from, come and talk to our team today to complete your desired look. Recently we decided to turn our dried up, tired excuse for a lawn into an inviting travertine paved courtyard area to enjoy summer barbeques, winter chestnut roasting, and a place where our toddler can ride his bike or throw pegs at a wall. So we built the privacy screen (thanks Better Homes & Gardens®). Of course, we did one coat of sealer for the timber but were in too much of a hurry to finish the job. So what happened? Well at the first sight of rain, the timber tannin leeched out onto our freshly tiled and grouted travertine pavers. Disappointed is not the word I heard once the sun came out and we saw the mess nature left us. Fortunately, Spirit Marble & Tile Care’s product – Bright As – came to the rescue. The tannin stains disappeared before our eyes and was very easy to use and clean up afterwards (I did it whilst junior was having his nap). The lesson here? Clean and seal your porous tiles and pavers as soon as the job is finished. But if you get stuck, there’s almost always a way to fix it with Spirit Marble & Tile Care products available at Tile Living today.